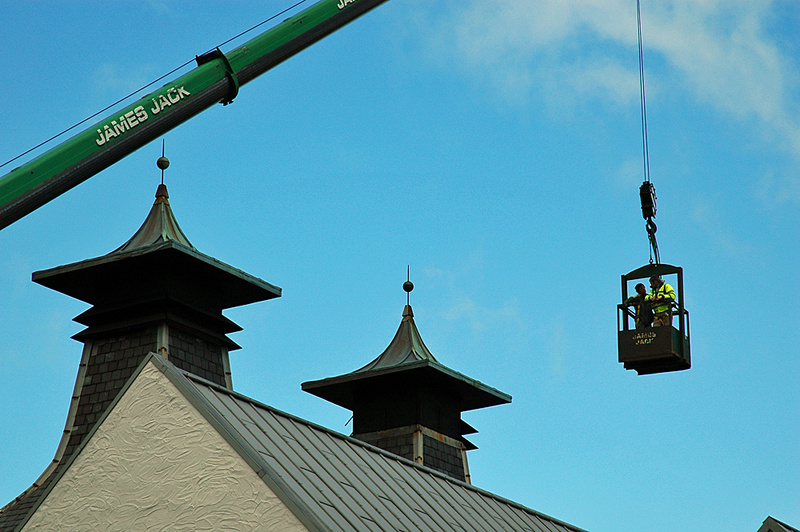 This was a few years ago and I can’t remember what exactly they were doing, but these workmen were doing some work on either the pagodas or the roof of Lagavulin distillery. Must have been a nice view from up there. This entry was posted in Distilleries, Repost, Sunny Weather and tagged Islay, Lagavulin by Armin Grewe. Bookmark the permalink.